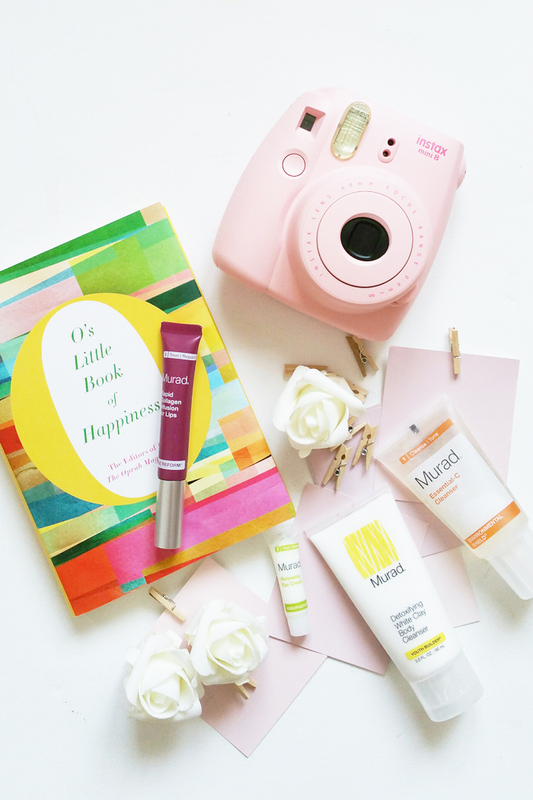 One of the best things about blogging is being introduced to so many great beauty products on the market. To truly test a new product’s effects, it really does require a little bit of time. 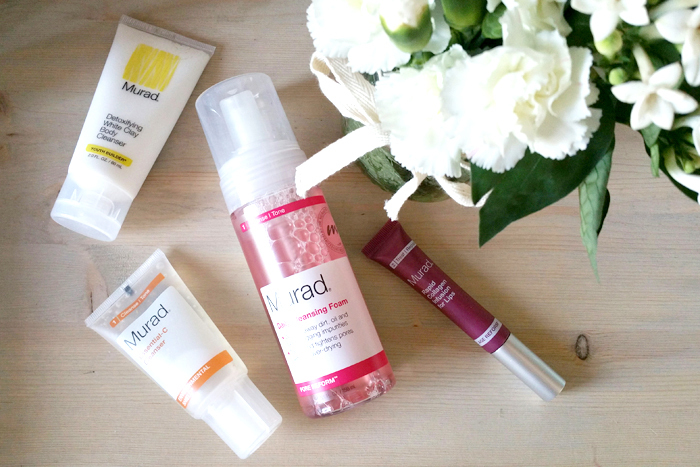 I was introduced to Murad skin care in early July and spent the month giving it a test drive. 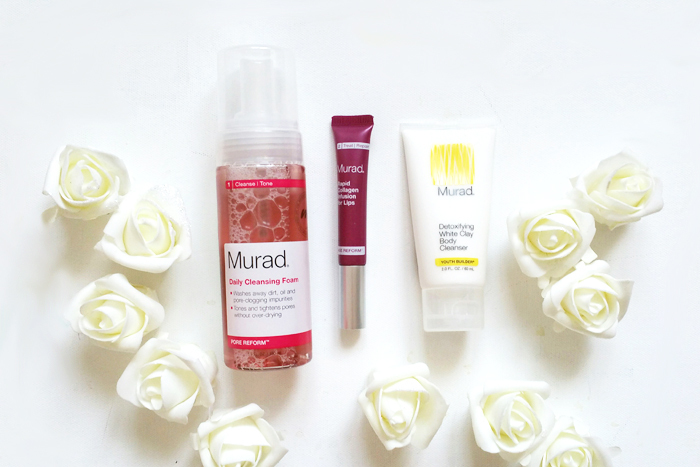 Murad carries a collection on skin care products that are targeted to ‘making everyday better”. With product lines specializing in balancing combination skin, anti-aging, treating acne, and sun protection, there sure is a collection that is proven to assist with your skincare needs are. I particularly recommend the Daily Cleansing Foam which is designed to treat clogged pores, occasional breakouts, and lackluster ton & premature aging. I am always on the hunt for a mild cleanser, and this one is perfect for daily use. It is also equally important to treat the skin on your body as the skin on your face, therefore, I also recommend the Detoxifying White Clay Body Cleanser, perfect for post-sun action. This clay cleanser draws out impurities while gently exfoliates and hydrates the skin for a supply and youthful appearance. Check out my personally curated collection of Murad products and use promo code “secret” to receive free shipping on your next purchase, expires Aug 21, 15.